Cryptid Creature or Feral Person? During April, 1971 folks living in Mobile, Alabama and surrounding areas, had sightings of a strange and bizarre cryptic creature. 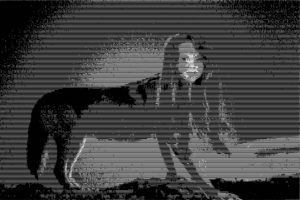 This short lived sighting spurred the legend of the Wolf Woman of Mobile. There have always been legends of half human, half animal creatures that have poked our curiosity and helped build the mythologies of many cultures. The werewolf is certainly one of creatures and is familiar to nearly most everyone because of its roots in both European and American Indian folklore. In Native American culture the werewolf is associated with the skinwalker. 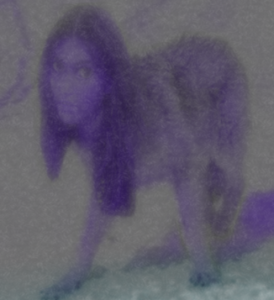 The skinwalker can also transform itself from person to animal. Some legends also states that the person who wishes to shapeshift uses some sort of evil means to create this transformation, and generally causes a lot of chaos and fear in the community it resides. 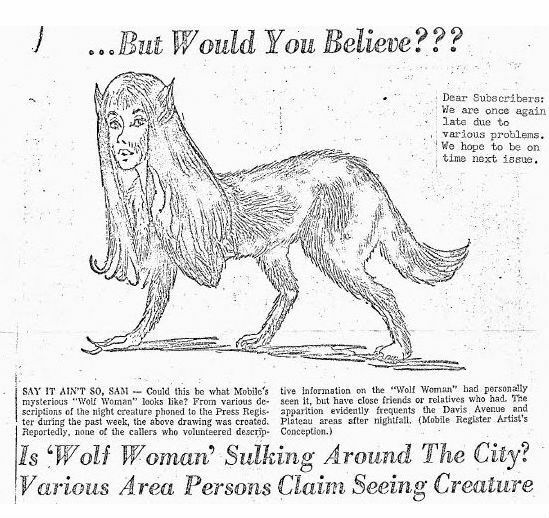 The Wolf Woman of Mobile is thought to have been such a creature. From the first sighting at the beginning of April 1971, it’s description has been that of a woman’s upper body and lower limbs of a wolf. One witness described the Wolf Woman as being “a woman and a wolf, pretty and hairy.” More reports came flooding into the mobile register, local newspaper. Over the next week, the newspaper received at least 50 calls of encounters and sightings of the creature. People of this area claimed to be chased and stalked by the creature, and spotted it roaming around backyards. An unnamed youngster is quoted as saying: “My Daddy sighted it down in a marsh, and it chased him home. Now, my Mommy keeps all the doors and windows locked.” There was even a rumor going around that the creature had escaped from a circus sideshow. During the course of all these sightings, police had to take the investigations seriously due to the sheer number of reports, in case it was a wild animal on the loose. Fortunately, no one was reported harmed by the creature. After 10 days of numerous sightings the Wolf Woman of Mobile seemed to disappear, and was never seen again. Throughout history there have been several reports of feral people. Could this be what this creature was? There are many reports of children being raised by wolves or other animals in the wild. “In the May 1953, the Wolf Girl of Devil’s River was born to Mollie Dent, who had gone with her husband to the Beaver Lake area to trap. Mollie was having problems with the birth, so her husband, John Dent, rode to get help from a Mexican run ranch on the Pecos Canyon, but he was struck and killed by lightning before he could return accompanied by a Mexican couple. By the time the couple reached Mollie, she had died, apparently in childbirth. Wolf tracks in the vicinity suggested that the newborn infant had been devoured by the lobo wolves of the area. However, in 1945 a boy saw a girl, in the company of a pack of lobo wolves, attacking a herd of goats. Less than a year later, a Mexican woman at San Felipe a saw two large wolves and a girl devour a freshly killed goat. 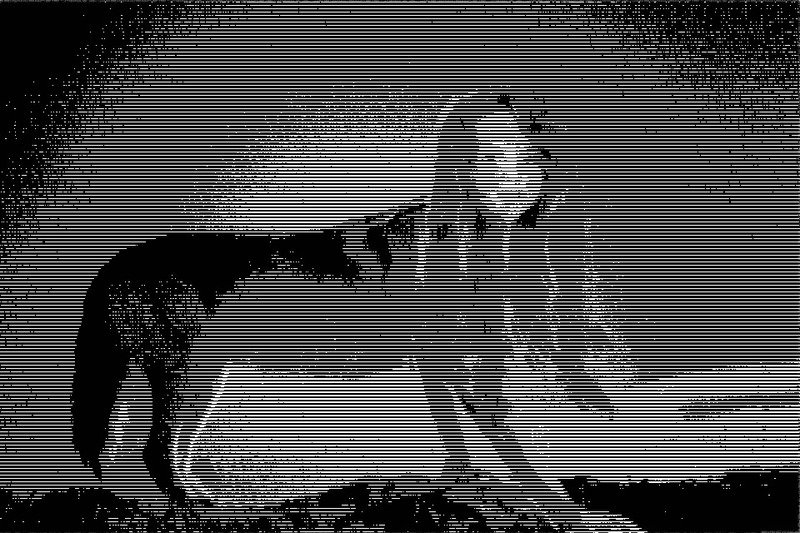 She observed the girl run off – first on all fours, and then on two legs. A hunt was mounted, and after three days The Lobo Girl of Devil’s River was caught, after fighting wildly to keep her freedom. She was taken to a ranch (really just a two room hovel) and locked in. Her howling attracted answering cries from wolves far and wide, and large pack of wolves rushed the corrals, attacking goats, cows and horses. Shooting started, and in the confusion the girl managed to remove a board nailed over the window and made her escape. So, we are left to wonder, was the creature sighted in the Mobile Alabama area simply a grown feral person who was misidentified as an animal? Or could it be a skin walker, shifted into its nocturnal form? Since the sightings of this creature stopped, is it possible that moved to new location? One thing is for certain, something caused quite the stir in 1971, Alabama.